Terry Francona couldn’t make it to the All-Star Game on Tuesday night, but Brad Mills made sure he got the Indians manager into the locker room. Due to health issues, Cleveland Indians manager Terry Francona couldn’t make it to manage the American League in the All-Star Game on Tuesday night, but you could say he did make an appearance before the game in the locker room. Francona underwent a heart procedure last Thursday to help with some lingering health issues, and will have the chance for some rest and relaxation away from the team for some time to help stop these problems from popping up again. 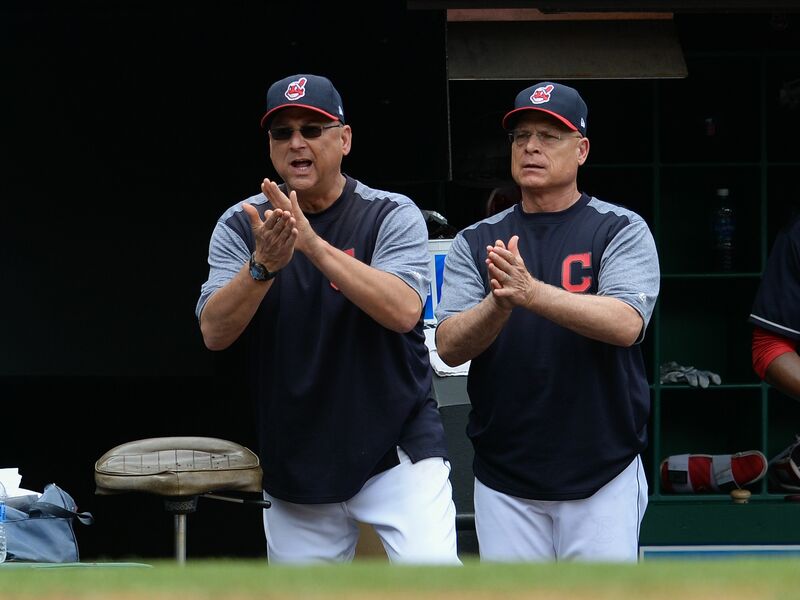 Unfortunately, that means we couldn’t see Tito manage the American League squad on Tuesday, and Indians bench coach Brad Mills stepped in to help fill the void in the dugout for the team. Mills wanted to make sure the team got to see Francona before the game, so he took a unique approach to make that possible to help “motivate” his players in his pregame speech. Some teams will FaceTime their coach beforehand if they can’t make it, and some will read some words prepared by their manager, but Mills got a little more creative. Like a scene out of Major League, Mills brought a shirtless cardboard cutout with Francona’s face on it into the locker room to honor the Indians manager, much to the delight of the players preparing for the game. The All-Star Game has always been pretty lighthearted, especially with home-field advantage no longer a factor in the star-studded affair. With pretty low stakes and an opportunity for players to show up and have a good time, it was cool to see Mills honor his friend and coworker in such a unique way before the big game. Now, please put a shirt on, Tito. There’s kids watching.